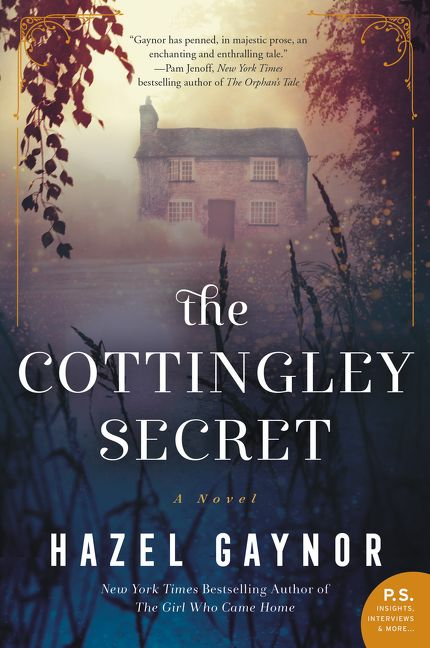 THE COTTINGLEY SECRET by Hazel Gaynor is literally a “fairy” tale. Most everyone can refer back to their childhood and remember their longing for a fairy, whether it was the tooth fairy or Tinkerbell from Peter Pan. Gaynor takes readers back to a world of enchantment with this intriguing mystery. Alternating between 1917 and a hundred years later, the lives of two girls and a modern day woman are intertwined through a Fairy story. Hazel Gaynor: I’ve known about the Cottingley Fairies hoax, when two young girls claimed to photograph them at the bottom of the garden. When Sir Arthur Conan Doyle wrote about these ‘Yorkshire Fairies’ in the 1920s, the girls’ photographs unintentionally became public knowledge and fairy fever swept the nation. The truth wasn’t revealed until 1983, when I was an impressionable twelve-year-old. The idea to write about the Cottingley Fairies was there, but it wasn’t until the summer of 2015, when I was thinking about ideas for my fourth novel, that it was fully acknowledged. This happened in the form of a conversation with my agent, who casually asked if I’d ever thought of writing about them. Soon after that conversation, I found a website which mentioned an incomplete memoir by Frances Griffiths, the little girl in the most well known Cottingley photograph. What I didn’t realize when I ordered the book for my research, was that I had contacted Frances’s daughter. She lived in Belfast, only a short drive from me. After meeting Christine I understood her mother better, which helped me discover the real heart of this fairy tale. EC: Is the setting important to the plot? HG: Yes. With my books the story comes from what I have known about. The Cottingley Fairies originated in Yorkshire. I was connected to the setting of the past, Yorkshire, and the present, Ireland. Yorkshire was where I grew up and Ireland is where I currently live that has an immense amount of fairy folklore. EC: Do you believe in fairies and why do you think so many people have that desire for them to exist? HG: Yes, I believe in fairies 100 %. They are like Santa Claus where you do not want to question that sense of another being. During World War I so many lives were lost. People latched on to this magical story and were primed to believe there was an after life. They chose to escape the horrors of WWI and hoped there was another realm, where life went on. If we believe in something then we can make it happen. I think they were symbolic for a sense of hope, faith, and belief. EC: How would you describe Frances and Elsie? EC: How does the bookstore play into the story? HG: Olivia’s home becomes the bookshop, “Something Old Bookshop.” It was a generational link. Frances wanted to write a book for people to understand her story, and Olivia read the manuscript. The strong tie to our past is a book, including ones that are centuries old. EC: There was a very powerful scene about the emotional loss of someone loved. Was this personal? HG: I lost my mother when I was in my twenties. It could be written from my raw experience. As I grow older I feel that sense of loss because I could not talk to my mom about becoming a woman, a wife, and a mother. I just write on my life experiences as I enter into this fictional world. I expressed some of my feelings through Olivia because I could not express it through myself. I hope that the way I describe it makes sense to readers as well. EC: You made the present day character have her grandmother, Martha, suffering from Alzheimer’s? HG: My husband’s nana was suffering early stages of dementia before she passed. Martha’s story was her story. There is a sense of a fading away with the memories. For me, that is why a photograph is very important because it is a very permanent record of family. I also spoke with friends and how they felt the frustration of seeing their loved one slipping away. EC: The quote about a photo is very insightful. “There is more to every photograph than what we see-more to the story than the one the camera captures on the plate. You have to look behind the picture to discover the truth.” Please Explain. HG: Part of my job as a novelist is to explore the ‘what if.’ Who else was there, who was not in the photograph, what was beyond the actual picture frame, what was going through the minds of those who had their picture taken and those who took the picture? EC: Can you give a shout out about your next books? 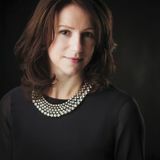 HG: In October a historical novel will be published, one I wrote with Heather Webb. It is titled,LAST CHRISTMAS IN PARIS. Through the four years of WWI the main characters, Evie and Thomas, write letters, sharing their greatest hopes and fears, while growing fonder from afar. In the fall of 2018 my stand-alone comes out entitled, THE LIGHTHOUSE KEEPER’S DAUGHTER. The plot goes back and forth between female lighthouse keepers from 1838 to 1938 with the different settings of England and Rhode Island.